The following, are pictures of Banded Argiopes that have been submitted to me by others living in Michigan. 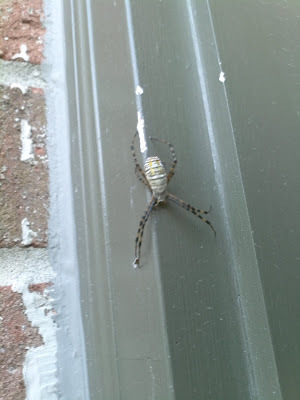 In doing this, I am able to show pictures of spiders in Michigan that I myself have not seen, as well as more pics of those I have posted officially as being in Michigan. 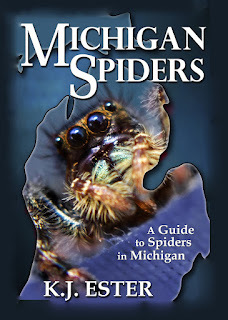 Please understand that the Banded Argiope Spiders in this section may or may not be indigenous to Michigan. I would hope that others would be honest and actually send pics of the Banded Argiopes they have actually found in Michigan, but I cannot make any guarantees. We have these in the cattails by our pond in Romeo Michigan. They are here and lots of them. 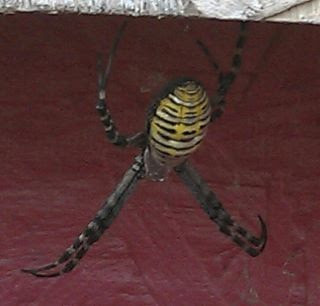 I just photographed one of these in it's web this morning in Hart, MI. I've never found one until today, but they are here. I live in Dearborn, MI. I found one of these in my backyard today while doing yard work. Just saw one in Canton today. My sister lives in Romeo,MI. We found one in her garden today. I came to this site to find out what is was. Weve never seen one. There are really pretty and REALLY big. Does anyone know if they are poisinous? In a defensive situation, the Argiope may bite but the venom is not harmful to humans. In fact, it may even be helpful. 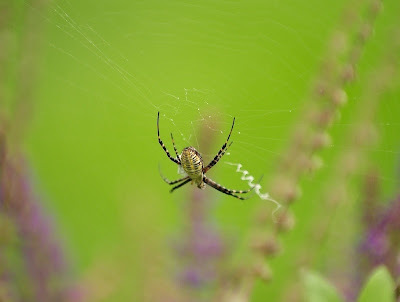 Argiope venom is being used in medical research for its abundance of Polyamine Toxins, which may be useful in treating certain neurodegenerative conditions. I have a degree in biology, but I don't work in that field and I'm not an expert on spiders. But I know a little bit. Hope it helps. 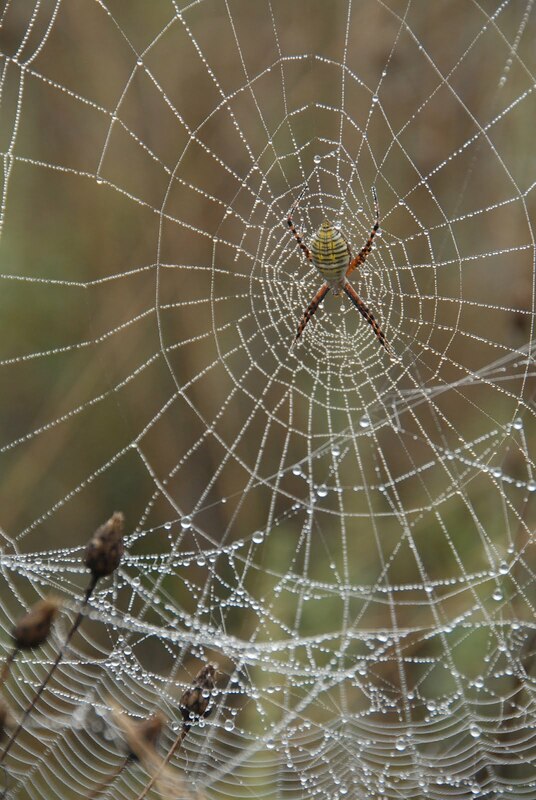 I took a beautiful photo of this spider in it's web with it's prey in my backyard in rural area near Swartz Creek, Michigan in late September 2013 and didn't know what kind of spider it was until I came upon your site. Thank you. It is beautiful and quite large.